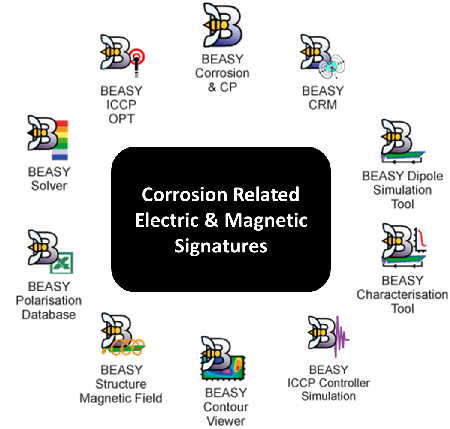 BEASY is widely used by defence organisations worldwide to predict the performance of cathodic protection systems and to minimise the associated electric and magnetic signatures. BEASY models the electrochemistry on the metal surfaces of the vessel and the electric fields in the sea water surrounding the vessel using the boundary element method. 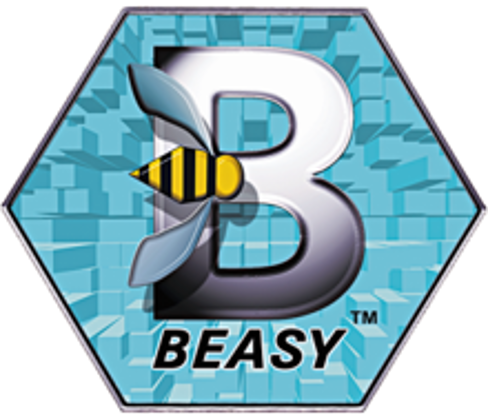 BEASY Signature management tools have been developed to support the needs of its large customer base which consists of most of the world's navies, maritime defence organisations and their supply chain. The design of a cathodic protection system is of great interest to defence organisations, not only to ensure the integrity of the vessel, but also because it contributes to the electric and magnetic signature of the vessel. 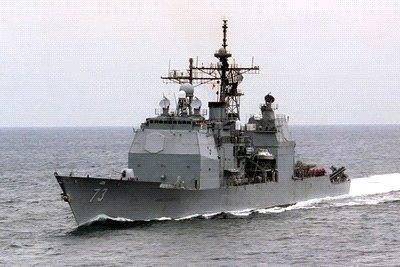 Electro magnetic signatures are playing an important role in the detection of naval vessels and in the fusing of intelligent mines. The static electric signature is the electric field associated with the DC corrosion or cathodic protection current which flows through the sea water around a vessel. This is sometimes referred to as the Underwater Electrical Potential or UEP. The corrosion related magnetic (CRM) field is the coupled magnetic field caused by the corrosion related electric currents flowing in the sea water between the anodes and the ship hull. It is important to note that UEP and CRM signatures exist even in the absence of a cathodic protection system. They are caused by the galvanic potential differences between the metallic structures in contact with the sea water. For example, the relative position in the electrochemical table of steel and bronze provides a sufficient driving potential to create an electric field. In order to control the signatures and to preserve the integrity of a vessel, it is essential to be able to predict the impact of the design and operation of the Cathodic Protection system on the electric and magnetic fields.